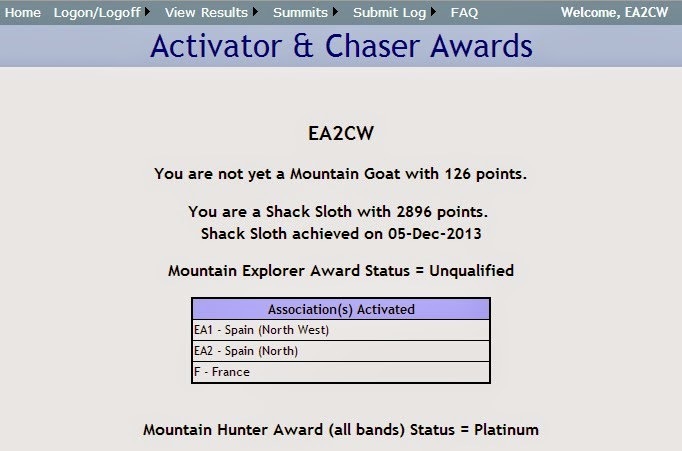 EA2CW: A new S2S with VK5CZ and Mountain Hunter Platinum achieved! A new S2S with VK5CZ and Mountain Hunter Platinum achieved! Today "Big gun" activation: 25watts and full size dipole! 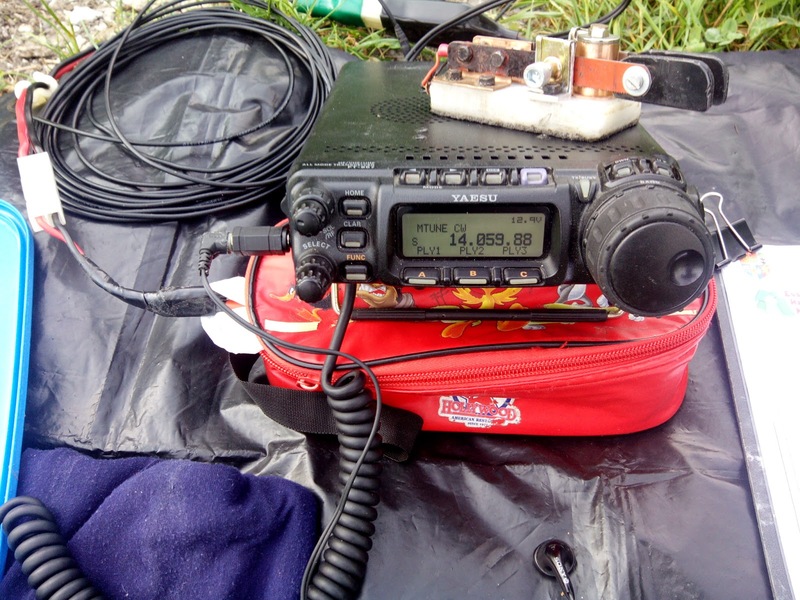 Yesterday Ian VK5CZ announced that today wednesday 18/6/14 he was going to activate Mt Jay South, VK5/NE-047 around 06:30 UTC. I needed one more summit on VK5 to try to complete the association to reach the platinum level of the Mountain Hunter SOTA award. To get it, you must work 20 or more associations (two summits on each one) and in 3 continents at least. I already had EU, AF, just 1 S2S QSO with NA, and 2 S2S QSO with VK, but in different associations. My goal was to get it using summit to summit QSOs only. So early this morning -04:00 UTC- I toke the motorbike with the basic equipment, well, not the FT-817 today. I chose the FT-857 to have a bit more power available, just 25 watts. After a short ride to Ganguren EA2/BI-055, in few minutes I was ready to listen to Ian. In addition to the extra power, I was using the 14 mhz full size linked dipole at 9 m high. This is a real SOTA big gun! Meanwhile, and after spotting myself on 14, I started to hear VK friends calling, even with strong signals in some cases. Finally, at 06:18 UTC, we made it again! His signals were not as good as they were at Picon Blanco on june 8th, but we were able to exchange reports and references. I have made it! The Mountain Hunter Award, Platinum, and with all the QSOs made SOTA to SOTA! Edited I've just received an e-mail from Ian, that tells me that the hike was the hardest he has made. 3 hours to the summit, and two more at descent. 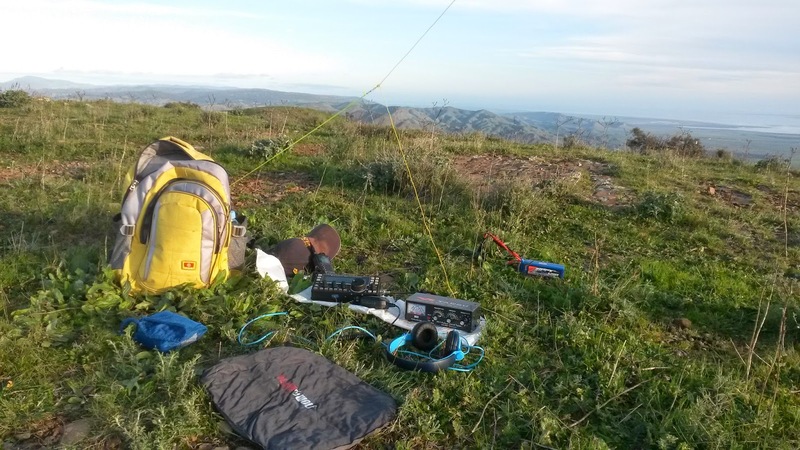 For the activation he used the KX3, 58 feet endfed wire, MFJ 904 tuner and 4Ah LiFe battery. He had to make his way back on the darkness too. I feel a bit embarrased, as I must drive less than 10 km from home to the summit, and no more than 250m walk. For me was at dawn, with no urge to come back. But he was at dusk, waiting till late afternoon to make the QSO. It makes me appreciate more the effort made by Ian. 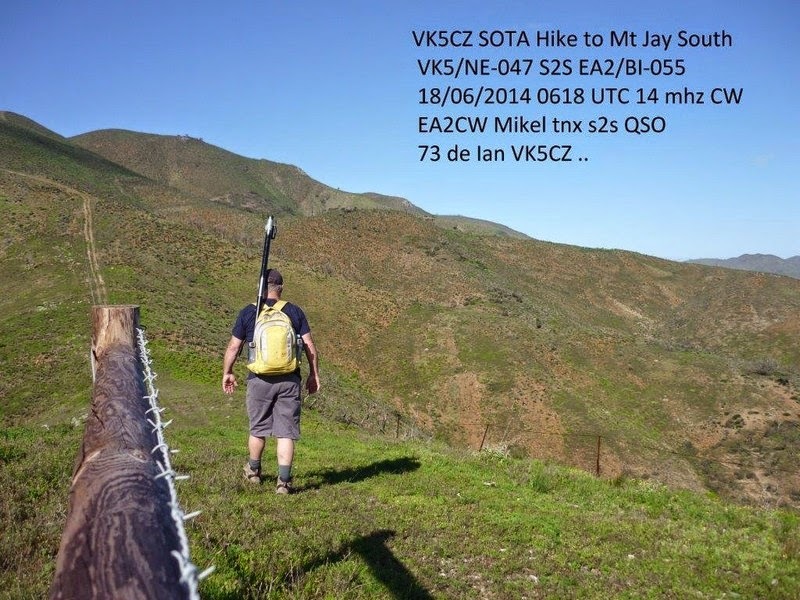 I also worked 6 more VK chasers, all of them well known and very active on SOTA. By the way, the propagation with EU was not good at all, but a bit later, I listened Mike 2E0YYY/P at The Gun. It was hard to complete but finally we had a couple of minutes of good conditions to finish the S2S. I think this is the first one we have made... This to see that, on certain hours, can be harder here to work UK than VK!